Full height shutters cover your entire window from top to bottom, creating a classic look and feel. 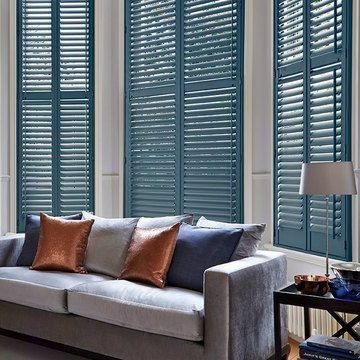 Stacey has chosen stunning full height shutters for the big bay windows in her Victorian home. Watch our video to find out why Stacey chose Hillarys made-to-measure shutters, and hear Stacy’s thoughts on our specialist in-home service. For many people, full-height shutters are the only choice. It’s a timeless style that looks perfect in the lounge, bedroom, or kitchen and in both contemporary and traditional interiors. Stature is at the heart of the design’s appeal. Full-height shutters stretch from the bottom to the top of the frame, creating a sense of grandeur and giving definition to a window. But full-height shutters offer more than a striking appearance. The design can be tailored to your needs. So you can choose full-height shutters in styles and finishes from across our range. Do you want a timber, craftwood or waterproof window dressing? Are you a lover of the wood look or do you prefer a painted effect? You can also decide whether you want the louvres at the top and bottom of each panel to work together or independently, giving you greater control over light and privacy. It almost goes without saying that you won’t have to make all these decisions alone. 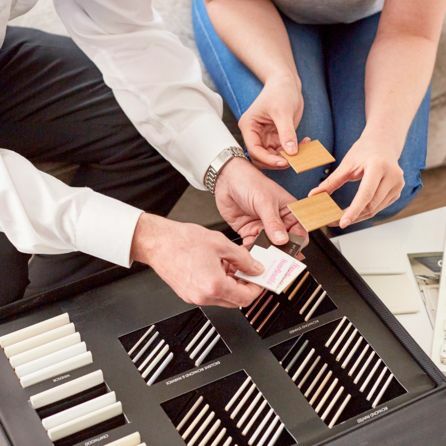 Book an in-home appointment with a Hillarys advisor and get expert help choosing your new shutters. Your advisor will even measure up and give you a quote that includes fitting.